Answer: Hi John,Go to your local supply house or home center and ask for 100 amp SER. That is a special wire made to feed subpanels. 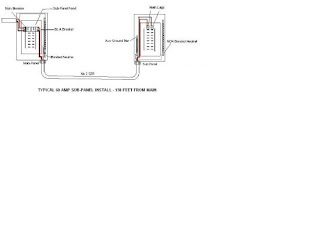 It has in it 2 hots, 1 neutral and 1 ground wire all size for a 100 amp sub-panel. Please when your done with this work have an electrician inspect you installation. This is not they type of a project a home owner should be doing on their own.